One thing you may have noticed is that our list of air cleaning houseplants is that none of them so far have been flowering plants. Sure, plants like the Mass Cane are capable to producing flowers, but as houseplants they rarely ever do. 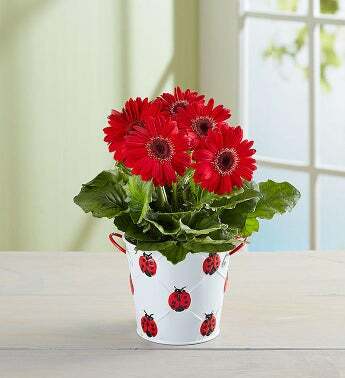 Which brings us to #5 on the list-gerbera daisies. Gerbera daisies are a bit of a misnomer, as they're not really daisies, but in the sunflower family (Asteraceae). You can tell by the sturdy stems, thick leaves, and the shapes of the petals on the flowers. 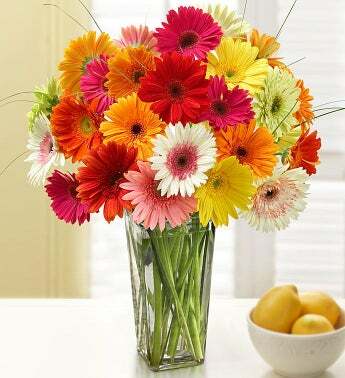 Gerbera daisies are native to southern Africa, and come in all kinds of beautiful colors. Its natural states are yellow, red, and orange, but growers have managed to produce pink, white, salmon, cream, and crimson flowers. In some cases, the same flower can even have petals of different colors. It's a perennial plant, meaning that if you grow it outdoors (in a frost-free climate) it'll wilt and look dead over the winter but pop back up in the spring. The gerbera daisy (also called "gerber daisies" or "African daisies")--and in fact the entire genus--was named in 1737 by Dutchman Jan Fredric Gronovius in honor of an 18th century German medical doctor, naturalist, and botanist named Traugott Gerber. Gerber worked as a medical doctor in Russia and also took medical expeditions around the work searching for medicinal plants and herbs. Funny thing is, no one knows exactly why Gronovius decided to name the genus after him, but with over 30 species in the wild and over 100 species in total, the name stuck. As pretty as these flowers are, I always felt it kind of a waste that someone would pay upwards of $70 for two dozen of these, and they'd just die after a few weeks. The cool thing about Gerberas, though, i that they make a good houseplant as well. In other words, not only will the flowers last for weeks, if the plant is well cared for, it'll bloom indoors in the autumn and winter. 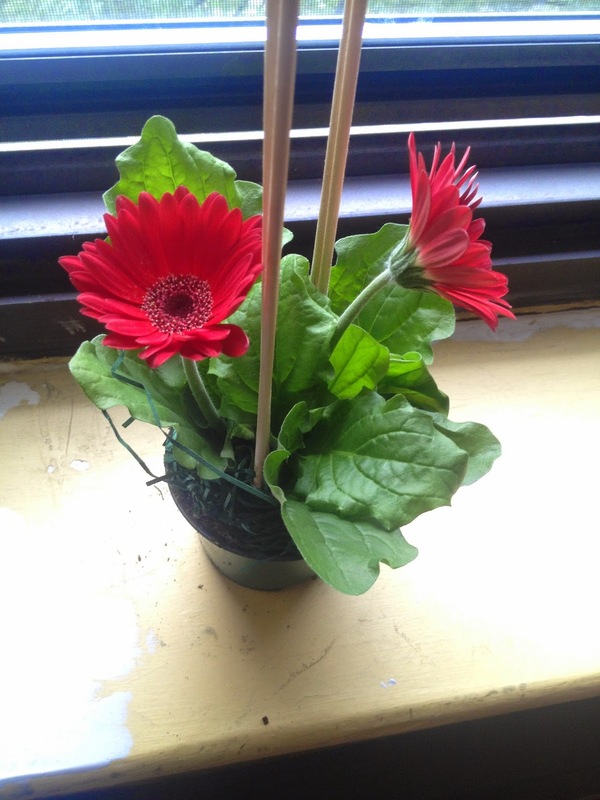 I was excited to order my first-ever Gerbera daisy houseplant, again from 1-800-Flowers. It's a bit pricier, but I've never, ever had a problem with plants from 1-800-Flowers, and buying from cheap places like K-mart always end up costing me more (saving $5 on a bag of potting soil has ended up costing me $50 and counting in fungus gnat remediation). Yes, a little disappointing that there are only two flowers and not nearly as many leaves as in the photo, but hopefully with some TLC more flowers and leaves will be growing. The plant is in excellent health, with no dead leaves, vibrant flowers, strong stems, and NO FUNGUS GNATS. 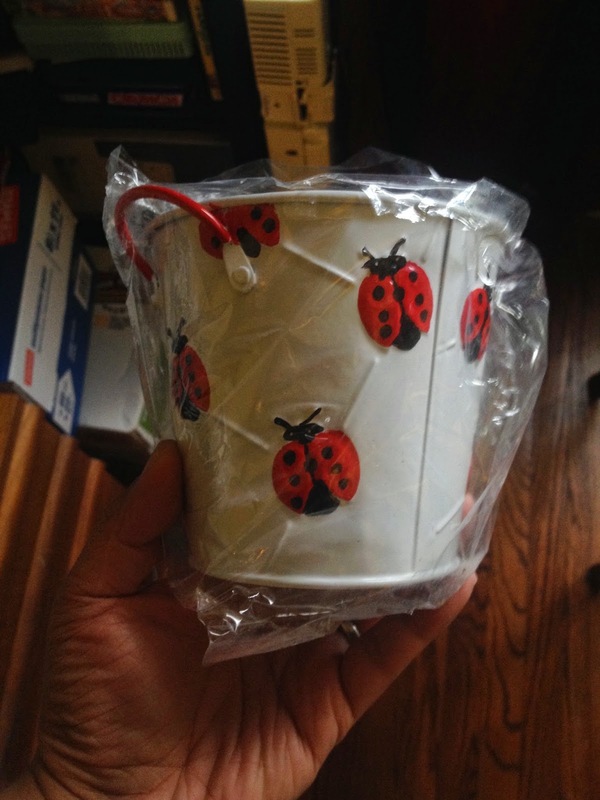 I also absolutely love the ladybug planter, which comes with a plastic insert for you to transplant the plant in from the small container it comes in. Overall, it's not a bad little gift to give to someone. As for me, I'm going to transplant it in a bigger pot hoping for a lot of flowers and growth. Like the English Ivy, the gerbera daisy gets one of the highest ratings for removal of chemical vapors from Dr. Wolverton. 1) Temperature: Keep between 60-65 degrees Fahrenheit in the daytime and 45-50 degrees at night. 2) Sunlight: It likes full sunlight to semi-sun, but you need to protect it from the sun at midday to prevent the blooms from aging too quickly. 3) Care and feeding: Keep soil evenly moist but not soggy. Feed regularly during the growing season. Keep on a cool windowsill in the autumn and winter months. 1) Keeping the leaves healthy is more important than the flowers--if the flowers wilt, just cut them off. As long as you continue to keep the leaves fed, sturdy, and green, new flowers that are more acclimated to your environment will take their place. 2) Temperature is important. Gerbera daisies like it cooler than most plants, so find that perfect spot in the house where they get good sunlight in the morning but are otherwise shady and cool.